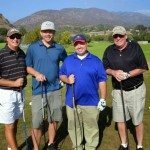 Team 19th Hole Media, comprised of Gary Christman, Kenny Donovan, Mike Quiroz and myself, Zeb Welborn won the first ever Bunkers Paradise Charity Golf Tournament for the Special Olympics of Southern California on Sunday, October 13. 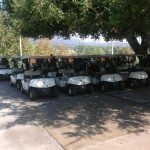 Roughly 50 golfers competed in the event held at San Dimas Canyon Golf Course. 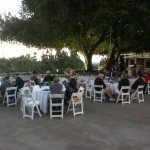 The event started at 1pm and ended at dusk with the raffling off of some great golf prizes for the golfers that attended. 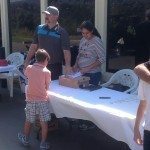 Our group was the first to tee off and had someone in our group poised to win all of the closest to the pin and long drive contests, but none of us won. We did; however, shoot a 14-under par 58 to tie for the low score. 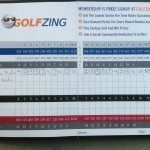 The round was filled with great drives by Mike Quiroz, great approach shots by Kenny Donovan, a great short game from Gary Christman and I helped out a little bit to fill in the gaps. 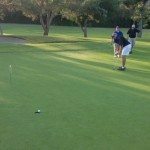 It also helped that we all made a lot of long putts. We couldn’t be happier to have entered the contest and had such a great time, with a great group of golfers for a great cause. 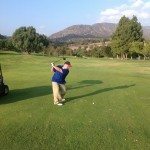 I have known the tournament organizer and Editor-in-Chief at Bunkers Paradise, Ken Lee, for some time now. Ken introduced me to Kate Hughes, who also competed and Gary Lee, who owns Lakers Nation and Bunkers Paradise. 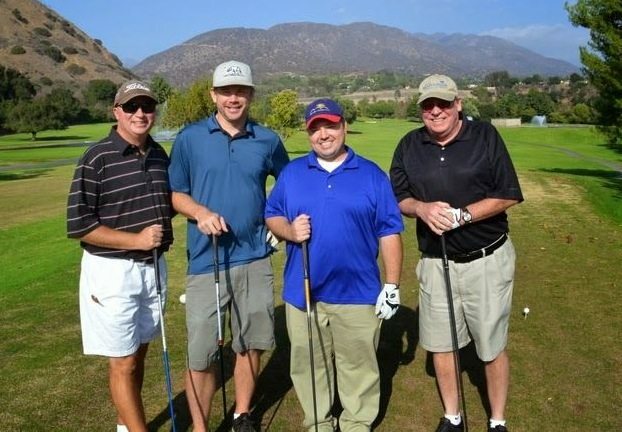 I’d also like to say thanks to San Dimas Canyon Golf Course. 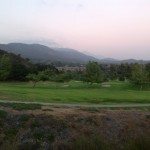 Ken and I became acquainted through Twitter and when I signed on to manage social media at San Dimas Canyon Golf Course, Ken wanted to make the course the home course for Bunkers Paradise to which General Manager Trip Stevens agreed. 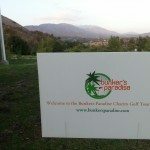 Just a few months afterwards, Bunkers Paradise was holding their first ever golf tournament bringing 50 golfers to the course. 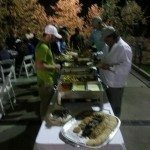 Thank you San Dimas Canyon Golf Course and Trip Stevens for working with me and Bunkers Paradise to help get this tournament off the ground and thank you Bunkers Paradise for choosing San Dimas Canyon Golf Course to host your tournament! 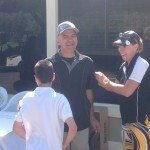 Posted in #GolfChat, 19th Hole Tournaments and tagged 19th Hole Media, Bunkers Paradise Charity Golf Tournament, Closest to the Pin, Gary Lee, General Manager, Golf Tournament, Kate Hughes, Ken Lee, Kenny Donovan, Lakers Nation, Long Drive Contests, Mike Quiroz, San Dimas Canyon Golf Course, Special Olympics of Southern California, Trip Stevens, Zeb Welborn.